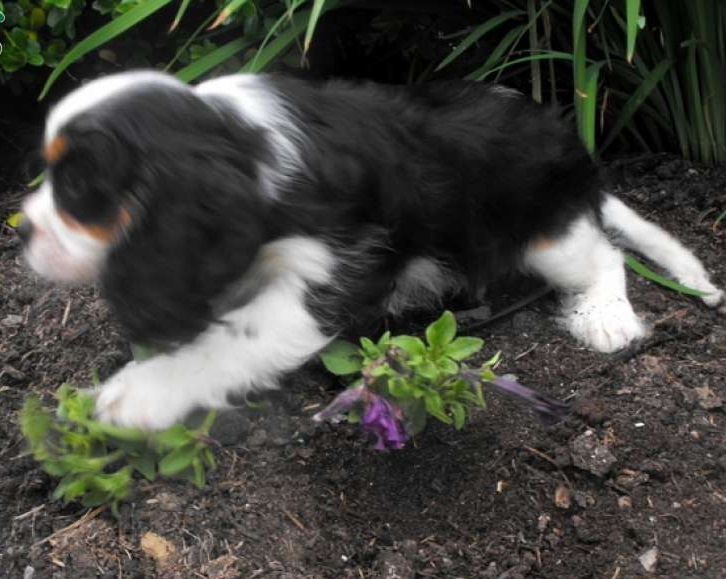 The Cavalier King Charles Spaniel is a well-proportioned little dog. The head is slightly rounded, the muzzle full, tapering a little with a shallow stop. The nose is black. The teeth meet in a scissors bite. The dark brown eyes are round and set well apart with dark eye rims. The long ears are set high with abundant feathering,there are 9weeks old R2000 fill free to contact us any time of the day.